Caeli joined us in blogging about this week’s topic, with a twist. 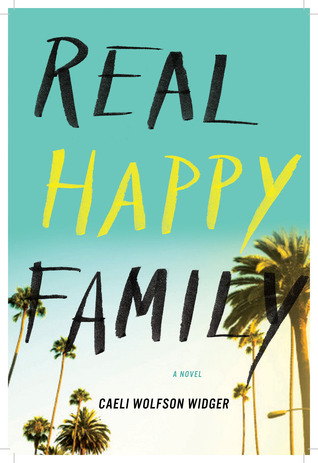 She’s also offered to give away a copy of Real Happy Family to one lucky commenter (details at the end of this post). Welcome, Caeli, and thanks for joining us! First off, I’m breaking the rule of this post! Instead of broken writing rules, I’m focusing on how I broke rules conventionally championed as important to a successful writing life. I’m not sure that these steps constitute “rule-breaking,” but they definitely felt in opposition to what people had been telling me for many years: Do not hesitate to identify yourself, first and foremost, as A Writer. Do everything you can to make writing center stage in your daily routine. After finishing my MFA program in my mid-twenties, I set out to make those two tenets a way of life. My husband-to-be and I moved to New York, and I tried hard to look people in the eye and say Write when faced with the inevitable question, So what do you do? Problem was, I could never help myself from quickly qualifying my answer with mumblings like, But I’ve only published a couple of stories, a few poems here and there, in, like Pocket Lint Quarterly. Followed by a self-conscious laugh. Now fast-forward eight years later. My story collection was finally done. Or rather, done-ish. Those fifty novel pages were, er, technically written, but not much of anything. Now I was in my early 30s. Somehow, in the process of forcing myself to self-identify as a Writer and putting lots of pressure on myself produce a story collection that would blow Cheever out of the water, I’d begun writing less and less. Inspiration and ambition had been replaced by anxiety and avoidance when it came to my fiction. I basically quit writing altogether. Husband-to-be became Husband. We had a kid. I stayed home for a year with him – something my ex-Writer self had viewed as loathsome – and then got a real job as a technical recruiter (something I’d dabbled in as a Writer, part-time and with disdain). We moved to Los Angeles, near the beach, and I made lots of new friends who weren’t writers. I got really into vegan cooking and riding my bike on the beach and hiking and having more babies. I stopped identifying myself as anything in particular. Fortunately, people in L.A. don’t really ask. And then, three years ago, I woke up one morning, pregnant with another kid, and suddenly wanted to write something. It wasn’t anything deep or burning, but rather a small itch to capture on the page a scene between a mother and daughter I’d witnessed the day before. It was a small moment that had struck me. I tiptoed past my son sleeping in the dining room we were using as his bedroom to the desk where my laptop was closed in a drawer. I opened it and began to type. REAL HAPPY FAMILY was published three years later, almost to the day. I wrote my book from 5-7am in the morning, because that was the only window of time available to me. Those two hours of the day are still the only time I write (mostly!). Writing is deeply important, but it is not the only thing. Not by a longshot. My life is full of other important things too, and I wouldn’t want it any other way. I do call myself a writer now, though, without batting an eye. Because I am. I always have been. Are you as inspired by Caeli’s post as I am by live an unconventional writing life? What rule will you break first? GIVEAWAY! Comment on this post by noon EST on Friday, April 25, and you’ll be entered to win a copy of REAL HAPPY FAMILY. U.S. and international entries welcome. Follow The Debutante Ball on Facebook and Twitter for extra entries—just mention that you did so in your comments. We’ll choose and contact the winner on Friday. Good luck! 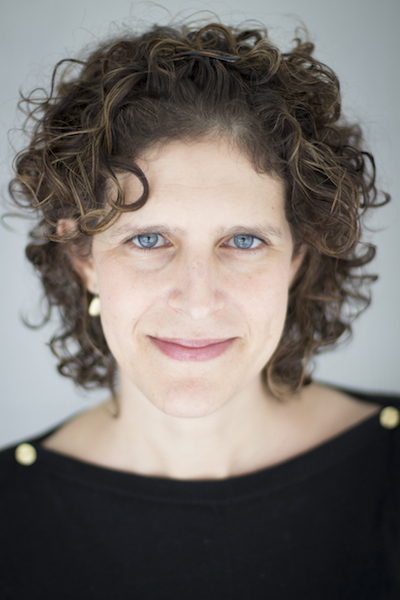 Caeli Widger earned her MFA from the University of Montana in poetry and has published work in the New York Times Magazine, Another Chicago Magazine, and The Madison Review. Her debut novel, REAL HAPPY FAMILY, was published in March of this year. She writes, teaches, and works a most unliterary corporate day job on the west side of Los Angeles, where she lives with her husband and three children. Follow her on Twitter: @wolfwidge or visit her website, www.caeliwidger.com. I love everything about this post. I’m laughing here at the coffee shop about “Pocket Lint Quarterly.” Your book just got bumped up to the top of my to-be-read pile. I’ve heard great things about it. The word “serious” always makes me cringe in this context. “Serious” novels, “serious” writers? Not for me. Like you, I write and I do many other things, too. For people who define themselves too completely as writers, as if they don’t do a million other things as well, I always wonder what they write_about_. Writing? Those early morning hours are my sacred writing time as well. And, too, it ‘s my rule I sometimes break. There are some mornings a little extra sleep is what I can’t do without. But I try not to break that rule more than once a week. Thanks for the post. The book sounds great. I’m still somewhat in that place, actually! Writing came to me while I was busy doing everything else, as well. In many ways I feel like we must already be full of experience and emotion and stories to put something down on paper worth anything. Great post and I look forward to reading your book! Great post, Caeli! You rebel. Your writing life took many turns and twists but your success is an inspiration. Learning about your life, move, kids and writing hours was interesting. Congratulations and best wishes. I love this post and appreciate your honesty around the challenges of a writing life. I am all about “rule breaking” (on and off the page) and find I’m more productive when doing so. I adore your book trailer btw and look forward to reading your Real Happy Family. I love this post and appreciate your honesty around the challenges of a writing life. I am all about “rule-breaking” (on and off the page) and find I’m more productive when doing so. I adore your book trailer btw and look forward to reading Real Happy Family. I’m constantly amazed at the tenacity of writers. The sacrifices, the early morning hours, the fact they have a day job, wow, I could never do that. But I’m so grateful you do it, because life without books would be no life at all.